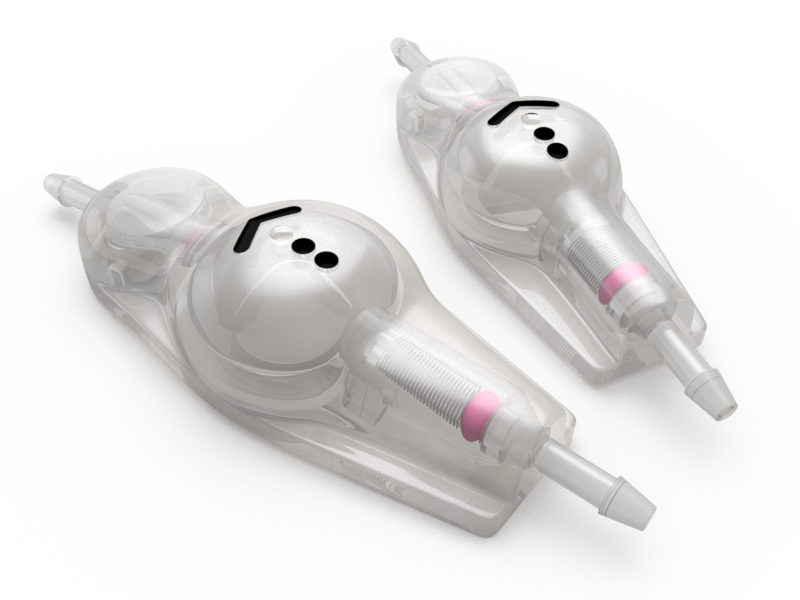 Sphera Duo valves were developed for a precise control of cerebral intraventricular pressure. The adult and infantile sizes design present low profile of implant and flexible body with anatomical shape to contour the curvature of the cranium. The valves are made of transparent medical grade silicone with internal structure in polysulfone. They have pumpable central reservoir with needle guard that protects against perforations on punctioning or sampling procedures. 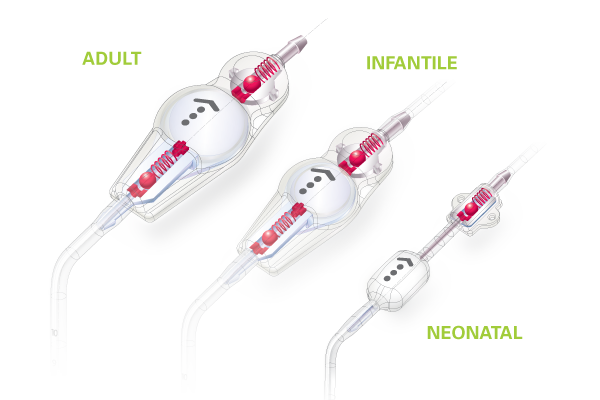 The Neonatal size has no pumping chamber, as the design prioritizes low profile and minimum implant volume. 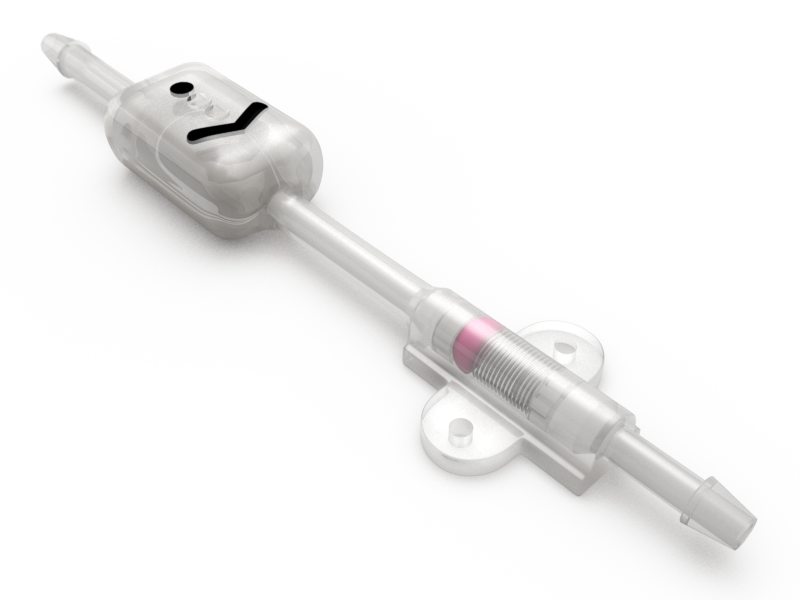 The system can be combined to a reservoir connected to the ventricular catheter to enable puncturing and CSF sampling. The pressure control system is composed of ruby ball and conic seat and stainless steel spring. The perfect match between ball and seat can safely set the pressures of opening and closing of the system, providing precise control of intracranial pressure. Adult and Infantile sizes have a dual pressure control encased in the input and output occluders. 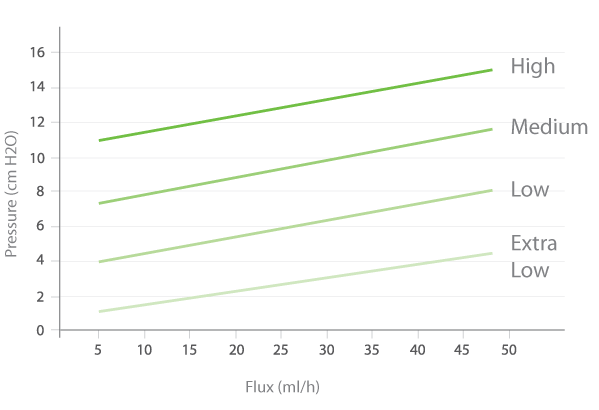 The Neonatal model encases a single mechanism for pressure control. All sizes are supplied in four pressure ranges: high, medium, low and extra low, to meet the individual requirements of patients. 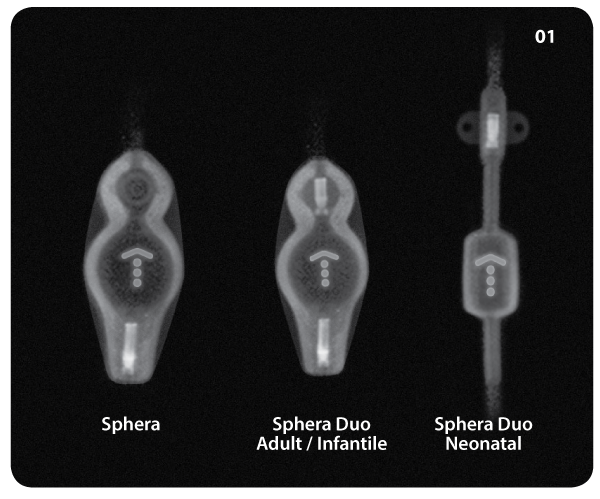 The indications of flow and pressure printed on the valve body are radiopaque and allow visualization imaging after implantation. The graphic represents average rates. The shunt system presents the valve accompanied by cerebral ventricular catheter and peritoneal catheter. These are made of soft transparent medical grade silicone with radiopaque stripe, which ensures catheter visualization in imaging exams. The hardness of the silicone used in the manufacture of catheters was tailored to allow adequate flexibility and at the same time, prevent the occurrence of unwanted kink in the subcutaneous route, which can cause obstruction or decrease the flow of drainage. For all valve sizes, the system can be supplied in different features of peritoneal and ventricular catheter with or without reservoir.